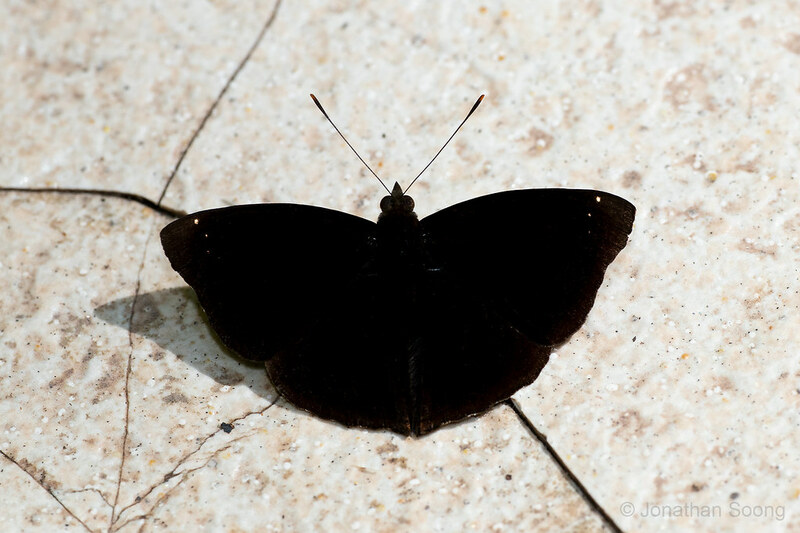 Athyma selenophora males were quite numerous in the waterfall trail. Each time an Athyma appeared, it would turn out to be this species, except for ONE occasion... Which I'll post in the future (only a record shot). We didn't see any females though, which look very unique if I'm not mistaken. Last edited by Banded Yeoman; 20-Apr-2019 at 03:40 AM. Np! The strange thing about selenophora is that the cell streak varies widely in the different sspp. 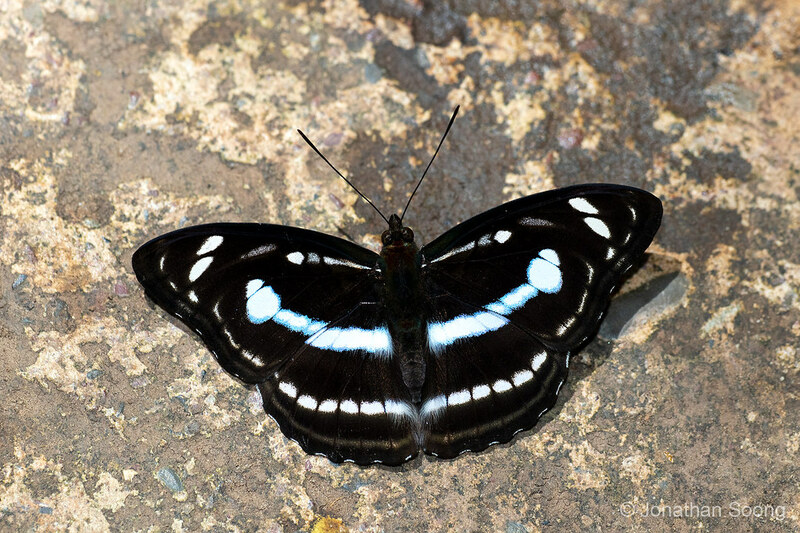 Athyma selenophora males were quite numerous in the waterfall trail. Each time an Athyma appeared, it would turn out to be this species,except for ONE occasion... Which I'll post in the future (only a record shot). We didn't see any females though, which look very unique if I'm not mistaken. In A. selenophora the FW band have 4 main spots. A. cama have 3 main spots in the band & no cell streak. 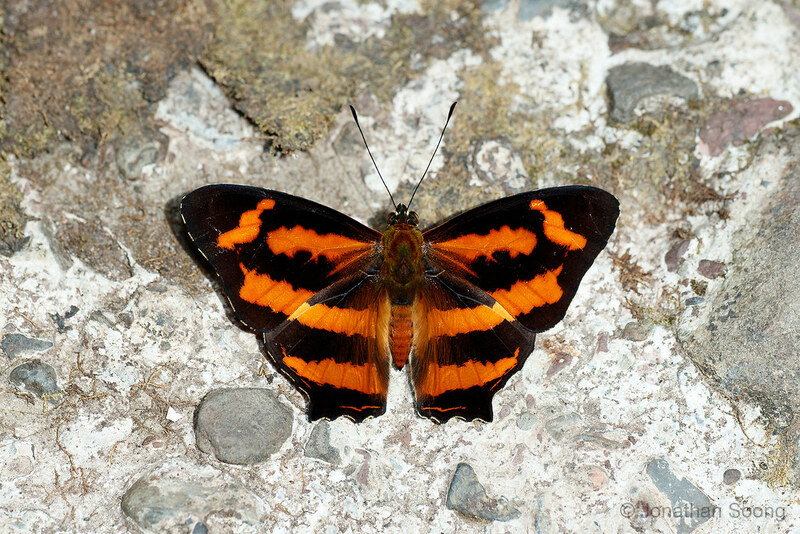 A. selenophora amhara. last row 1st image. A. cama ambra ; 1st row, third image. Another image of A. selenopnora amhara.fig 2. It was first placed as a ssp of S. lilaea , but this has been revised. The website quoting S. lilaea javanus have referred to old IDs. Last edited by Psyche; 19-Apr-2019 at 10:15 PM. 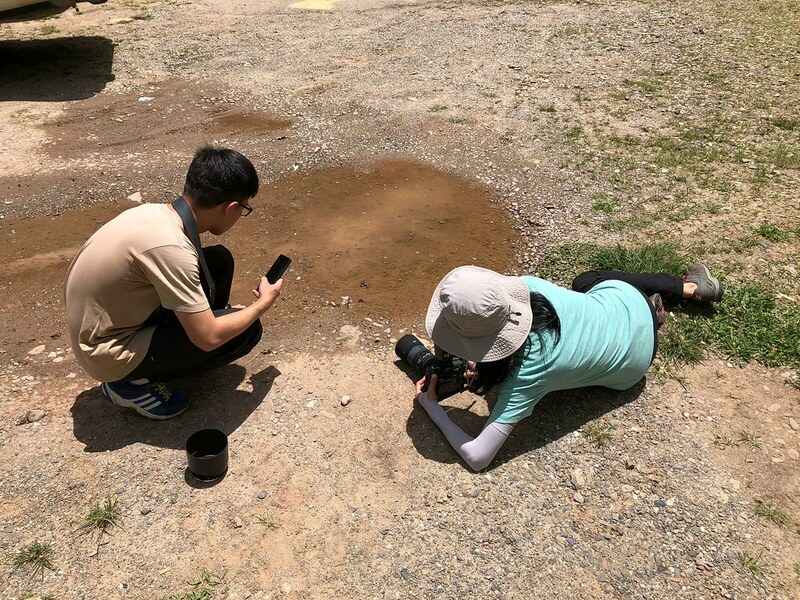 Getting back to the travelogue: Our shooting started much earlier than I what I'm used to in Singapore, around 8.30 a.m. At this time, the Polyommatini (Hedge Blues) were already out in full force, puddling at the car park and along the stream. 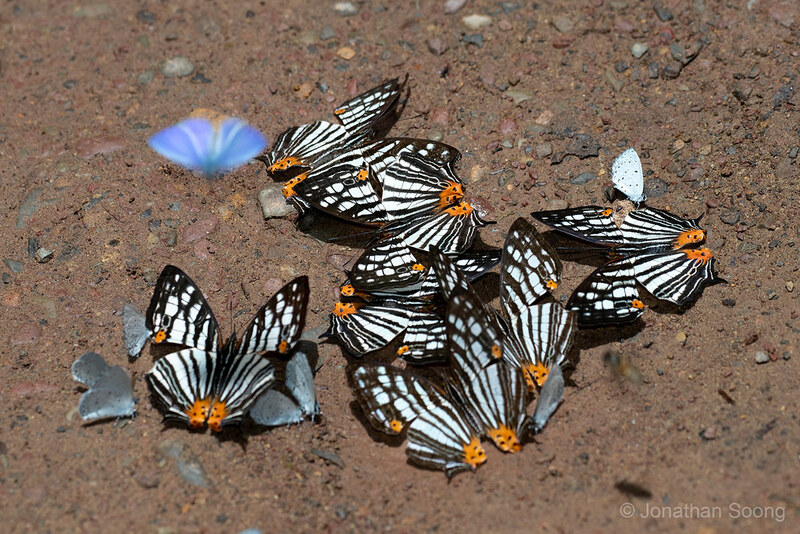 It's quite a lovely sight to have them fluttering up and down the stream, like little pieces of blue confetti. I'll post my images of the ones I shot at a later date, since I haven't gotten round to processing my shots yet. I suspect the ones I shot... are all the same species. 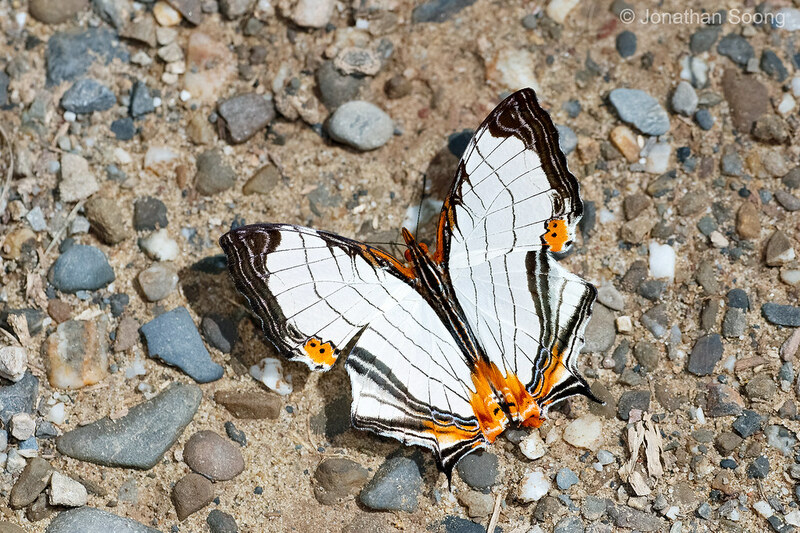 Not long after, another species appeared: the gorgeous Common Mapwing (Cyrestis maenalis seminigra). This Bornean subspecies has especially heavy black markings. I was so excited to shoot it that I amassed about 200 shots of it. 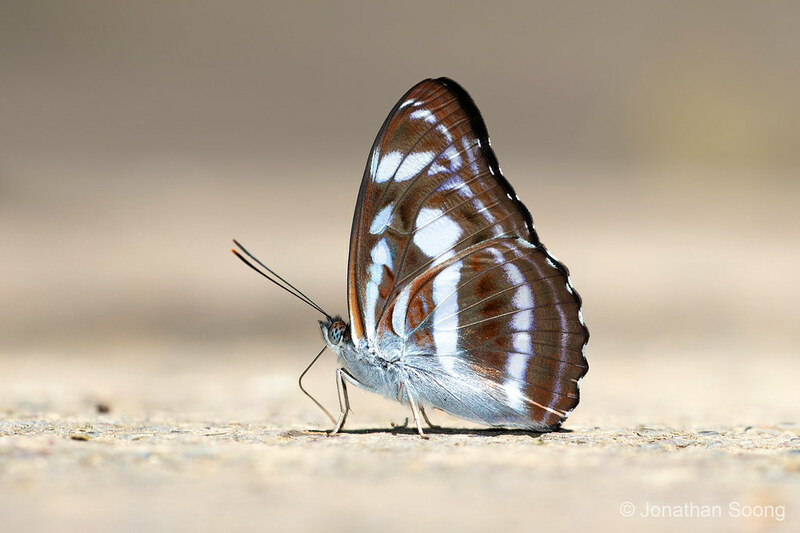 The next day, it became clear that this was one of the MOST common butterflies in the area. 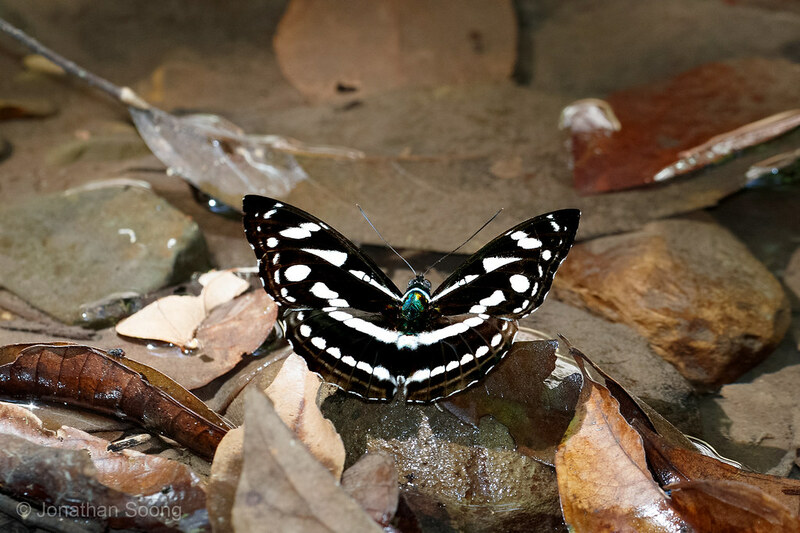 Along the short rainforest trail which led to the waterfall, several species of Nymphalidae managed to appear every single day. 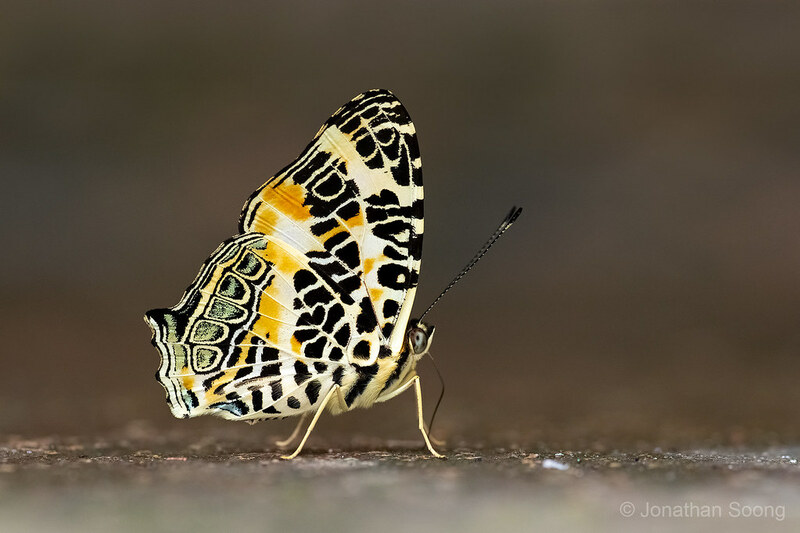 One species which I was eager to find - and then completely overdosed with was the Black Prince (Rohana parisatis borneana). There was one instance where I found at least 10 of them feeding on a tiled bench at the waterfall! Watching them as very intriguing. It was like staring into small, busily flapping voids. I also found out that they are FRUSTRATINGLY skittish. I refused to chase after any individual, and only shot them if they landed right in front of me. 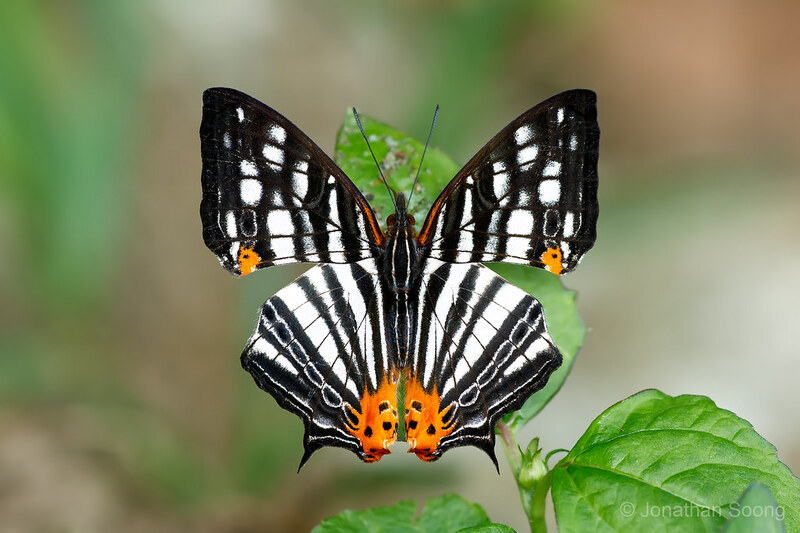 As Uncle Khew posted earlier, The Staff Sergeant (Athyma selenophora amhara) was also a very common species, seen on all days. 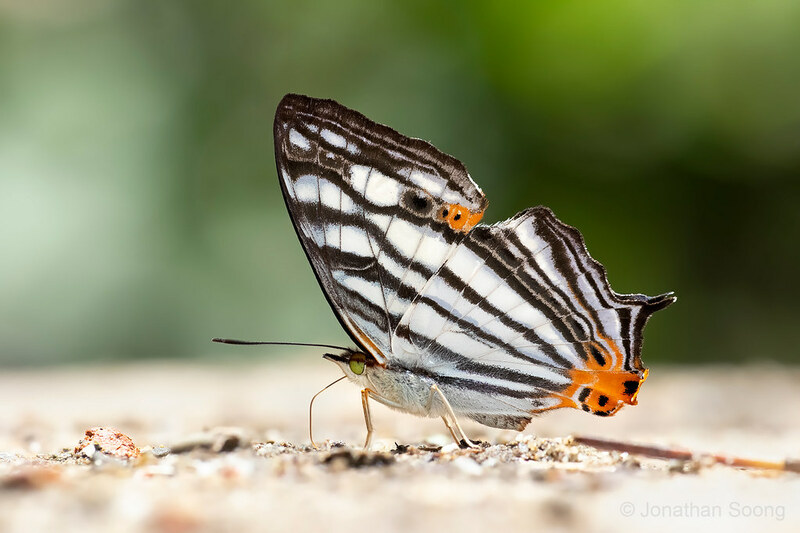 In typical Athyma fashion, they too were skittish and I only nailed my shots on our third day of shooting. 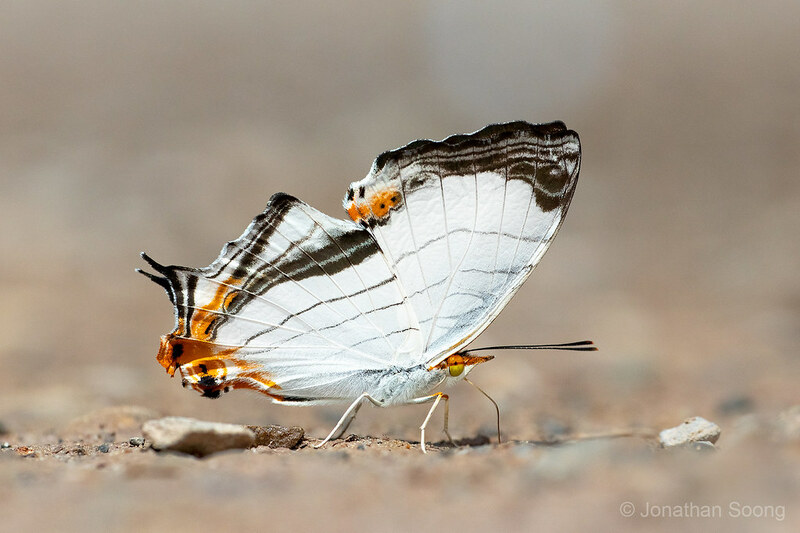 These beautiful Himalayan Jesters (Symbrenthia hypselis balunda) were also often seen flying rapidly up and down the trail. 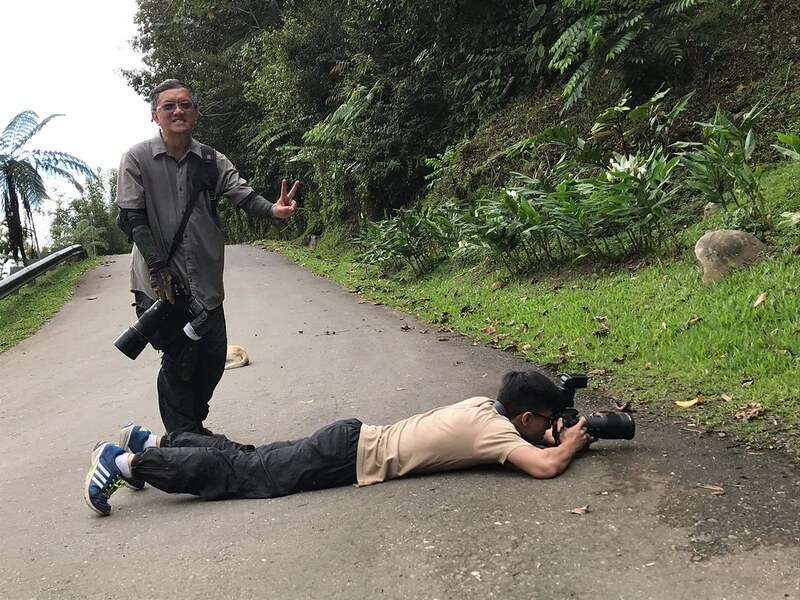 This individual was photographed at the toilet towards the end of the trail. I really adore the intricate underside of this species. Another species that got me excited was the uniquely shaped Club Beak (Libythea myrrha borneensis). My excitement quickly wore down when I found out how easily spooked my movement they were, always taking off into a jerky, gliding flight when I committed to shooting one. Luckily, this one landed in just the right spot for me to snap it with minimal movement. 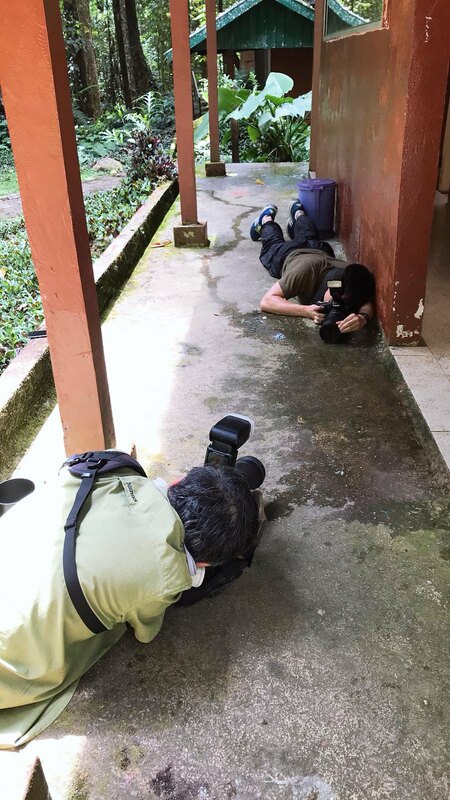 And here's a candid shot, taken by Mei Yee, of us shooting the Jester outside the toilet. It was puddling on... toilet water. Last edited by Banded Yeoman; 20-Apr-2019 at 08:46 PM. What??! That is hardly pathetic at all!! I would love to see this sp. in the field someday. Apparently this ssp. is quite a lot larger than the other sspp. Aaron, the size difference is apparent enough for me to instantly suspect this species despite never having seen one before. Lemon confirmed it for me when I shared the photo with him that day. 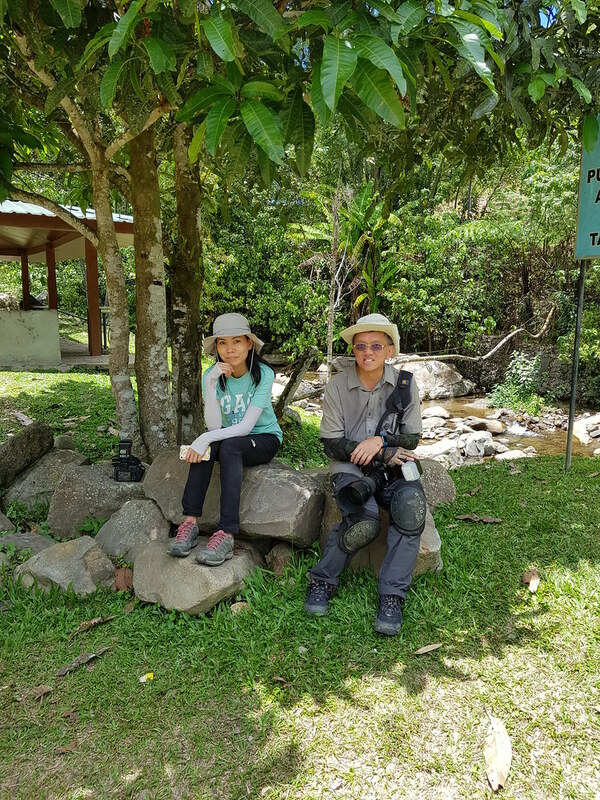 By the way Aaron, we encountered several individuals of Kallima at the back of the lodge and in the waterfall area. 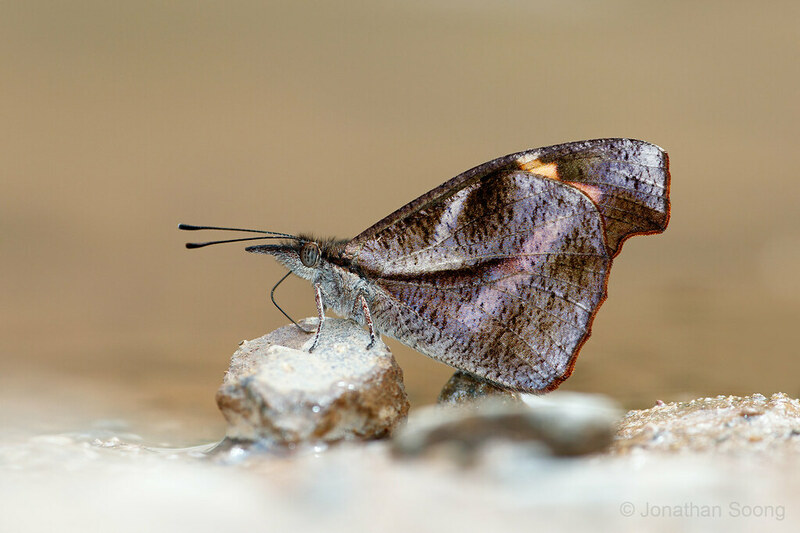 I've been looking around on the web and I've found that Kallima buxtoni, commonly known as the Bornean Leafwing, occurs there. Is this an updated taxa? I read somewhere that it has been updated or kallima limborgii buxtoni. I have a photo which I will post later on once I've dug it out. Hopefully you have some insights on this matter. Anyway, it's time for a short commercial break. 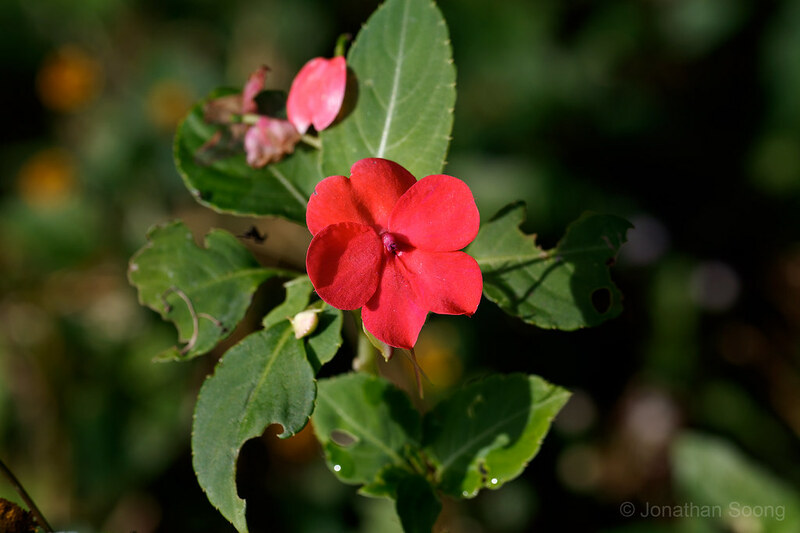 These cheerful Impatiens were planted around the entrance of the lodge. We also saw plenty of them dotting the sides of the road along the forest slopes on the drive in. Lemon mentioned that the beautiful and endemic Bornean Birdwing (Troides andromache andromache) made its lofty rounds around the place every day when he went in January. Unfortunately for us, this species wasn't flying during our stay. You bet I was hoping for one to swoop down from the sky to feed on the Impatiens. One species did come down to the flowers though, the Wanderer (Pareronia valeria lutescens). I didn't manage to get a good shot. Uncle Khew has a much better picture. 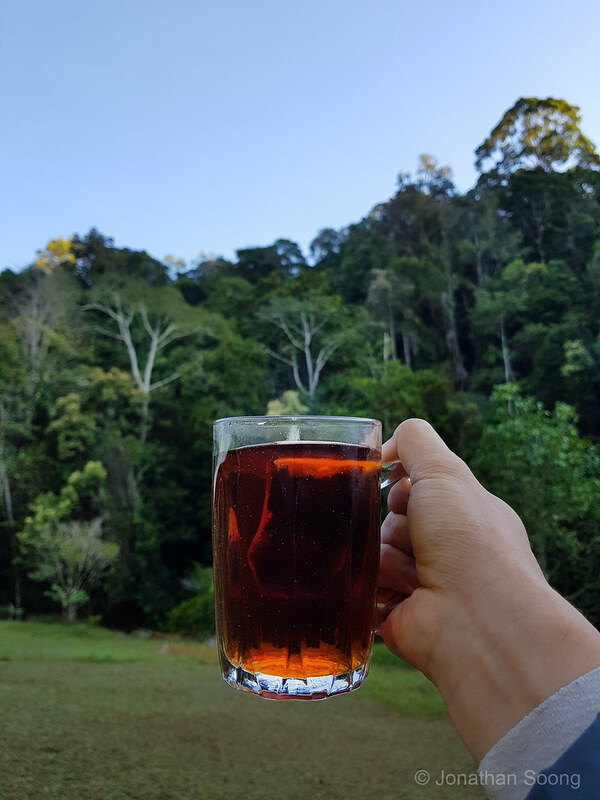 BOH tea and primary rainforest: the only way to start the day. 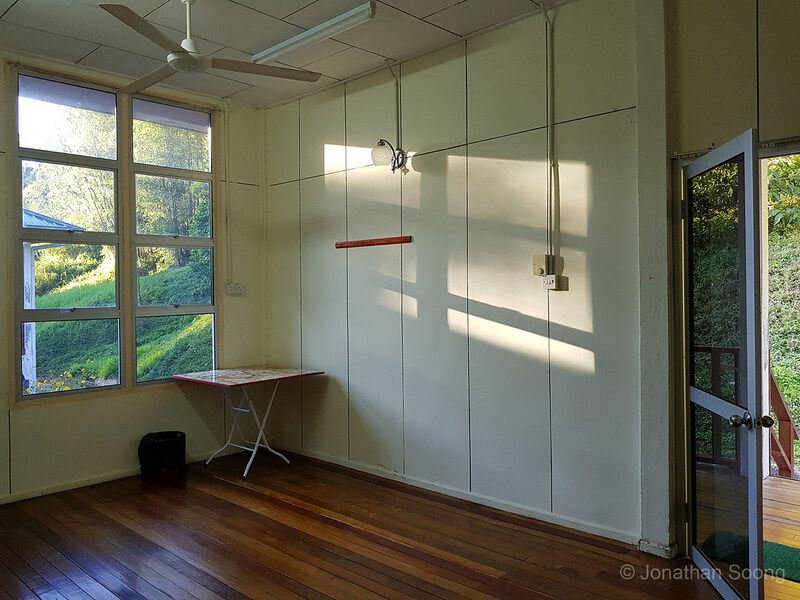 The sunlight pouring through our accommodation early in the morning. 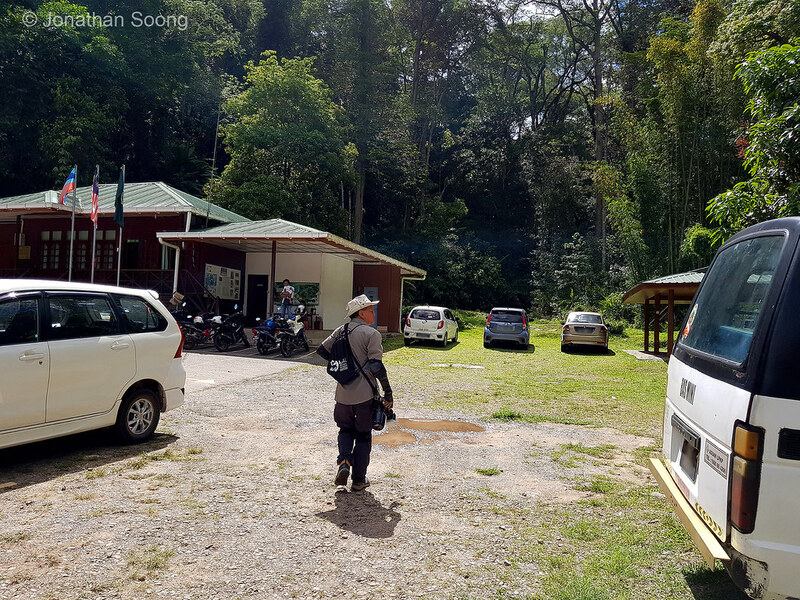 Uncle Khew surveying the busy carpark for butterflies to shoot. This was on our first day of shooting, a Sunday, when the waterfall drew many visitors. See that puddle in the middle? Quite a number of species were taken there when they descended for a drink in the scorching weather. Beyond this bridge was a good place to find interesting species. Heliophorus kiana, Euripus nyctelius borneensis were amongst the better finds. 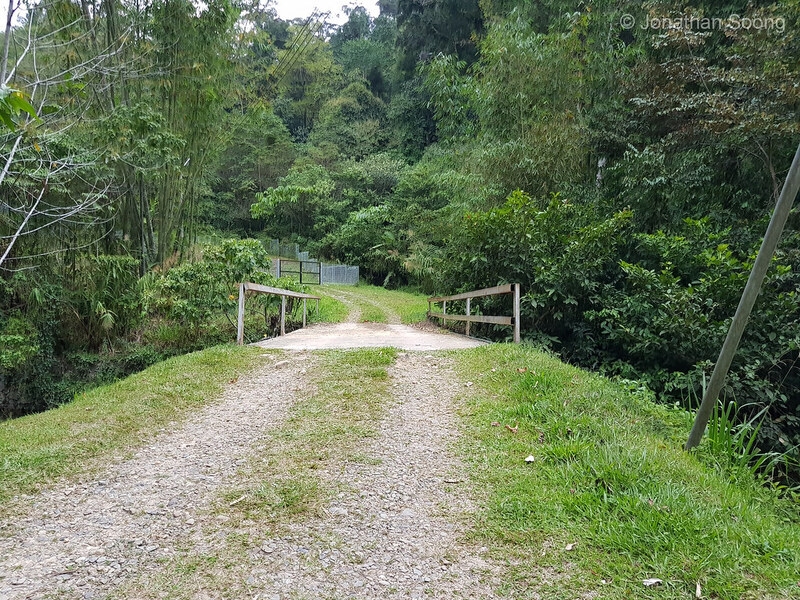 If you look closely at the picture, there is a gate in the distance and a fence bordering the forest edge. Along that fence and up the narrow slope (beyond what's shown here) was where I got my most important shot of the trip. It's not a particularly rare species there, but one that simply hasn't been photographed much before. Last edited by Banded Yeoman; 21-Apr-2019 at 08:28 PM.